A female curator of a folk costume museum in southwest China's Guizhou Province has promoted embroidery of the Miao ethnic group since 2003 by protecting it and making it shine in the world. Zeng Li works in Miao's Tales Ethnic Costume Museum. Zeng's interest in Miao embroidery was piqued by her father Zeng Xianyang, a press photographer who took many valuable pictures of the Miao ethnic group and also collected thousands of Miao embroidery works. Her father's albums made remarkable contributions to the promotion of the culture of the Miao people. In the spring of 2003, her father suddenly suffered from a stroke while spending day and night writing a book on the interpretation of Miao culture. Zeng decided to follow in her father's footsteps by continuing to study Miao culture and help more people know about its beauty and wisdom. In 2006, Zeng made preparations for building a Miao embroidery museum. Apart from the collections, she had just 17,000 yuan. Although she was short of money, she never thought of giving up, because building a museum was also her father's wish. Luckily, she earned support from the local government and finally established a museum in 2008. Her principle of running the museum is clear — to protect, inherit and popularize Miao embroidery. In early 2008, her father passed away. That year, holding her father's portfolio Miao Clothes, she embarked on a trip. "My father recorded the status of Miao villages 30 years ago. I want to follow him to know about the changes in Miao people, their clothes and environment," said Zeng. Zeng came up against many problems on her way. For example, she got lost and was nearly bitten by a mad dog. Yet she succeeded in visiting over 100 Miao villages in three years and republished Miao Clothes which included lots of new contents. Thanks to her efforts, more people are able to know about Miao culture through comparison. This year is the 10th anniversary of the museum. 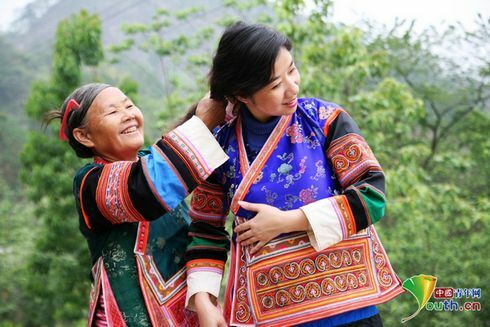 Over the past years, many Chinese and foreign visitors have been deeply touched by the culture of Miao minority there. Zeng has never sold any of the collection or earned money from the museum. On the contrary, she invests lots of her own money running the museum. "I am willing to do my bit for the protection and inheritance of Miao embroidery," said Zeng. "I am glad my father and I kept the quintessential Miao embroidery, so I think what I do is meaningful." However, the inheritance of culture is filled with problems. One problem is the decreased number of young people skilled at Miao embroidery. To solve these problems, Zeng started to make new grounds in this respect. The patterns in Miao embroidery are cultural symbols passed down from ancient times, so they carry rich cultural connotations and value. Thanks to the introduction of government policies and media reports, people have had a higher sense of cultural inheritance in recent years. To better carry forward Miao culture, Zeng created a brand called Miao's Tales in 2008 to develop new products which in turn will contribute to the inheritance of the culture. 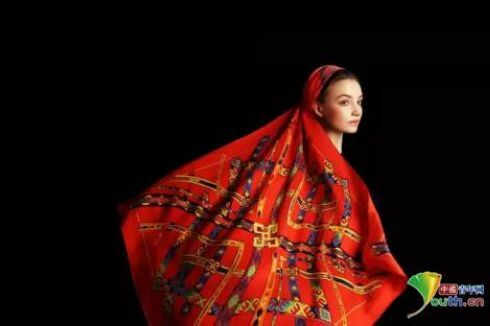 Zeng designed scarves embodying both traditional culture and international fashion by combining the old patterns in Miao embroidery and fashionable elements. In recent years, Miao embroidery has drawn the attention from international fashion circles. Natalie Gibson, a celebrated fashion designer, signed a cooperation agreement with Zeng on the right to use patterns from Miao embroidery. Some fashion magazines also published articles about Miao embroidery. Zeng has also attached great importance to the interpretation of Miao embroidery. Besides studying the symbols, she has actively explored the history and rich connotations of Miao costumes. She often gives lessons on embroidery in cities such as Beijing and Guiyang (in Guizhou) to help more people understand it and encourage more Miao people to return to their hometown to produce creative cultural products. In this way, Miao people can earn some income and carry forward their culture. Zeng plans to spend more time on the classification and interpretation of the symbols in Miao embroidery and display the results through books and videos.